Richard in Portland, OR. kindly allowed me to purchase this brush and I greatly appreciate his sale to me. 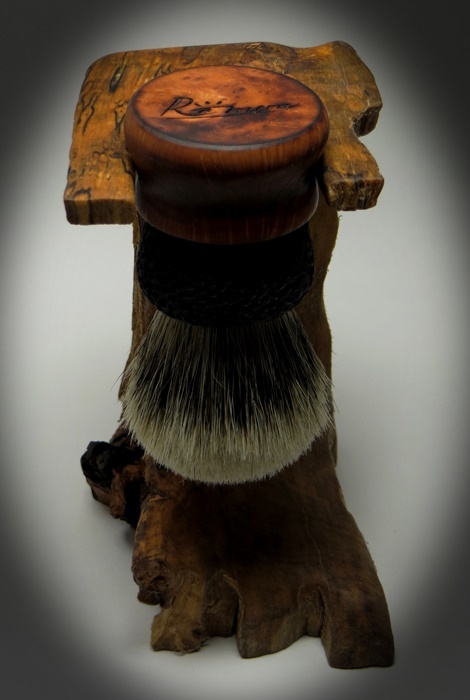 This is a beautiful brush made by a highly skilled artisan craftsman. The brush is highly spoken of in TSN so I will not attempt to add more adjectives; the brush speaks for itself. 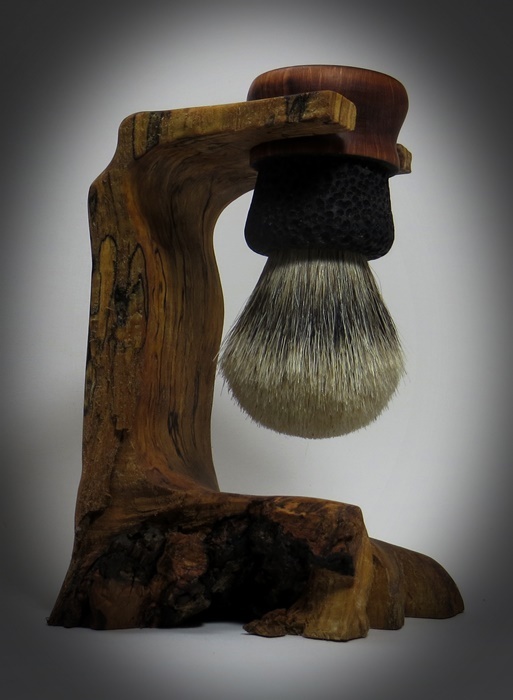 I wanted to build a unique, one-of-a-kind brush stand. I dug around in the fire place wood pile at the back of my house and found a chunk of spaulted Maple. This piece of wood has nice spaulting plus it looks like it was struck by lightening at one time. All-in-all the piece has great character so I took it to the wood shop, and came out with excellent results. 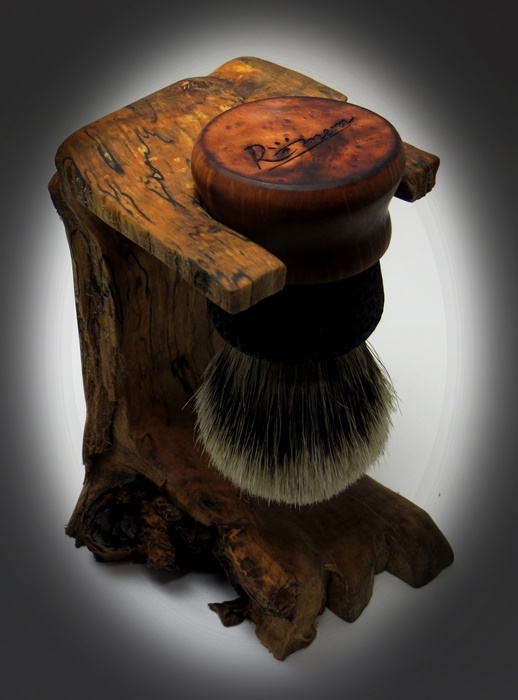 I believe it is a nice, rustic brush stand befitting a Rustic Chubby. Lovely work on the stand, Ed! Yes, that is really nice Ed! Rustic, manly, one of a kind. Wow, just beautiful. Richard in Portland, OR would like one for his Rustic Chubby. That is just... WOW! Excellent choice on wood and beautiful craftsmanship! One of the most beautiful stand i have ever seen . Great Pair. Congrats Ed. Really nice work! Compliments the brush perfectly. Nice job on that stand! Truly well matched in the look and feel.. wonderful job. Ed. Excellent craftsmanship. Thank you for sharing.